It's Take Your Kid to Work Day, and Archie finally gets a chance to ride along in his dad's taxi. That's when he discovers that his dad is no ordinary cab driver! He drives an intergalactic space taxi, and all night long he carries aliens around the galaxy. 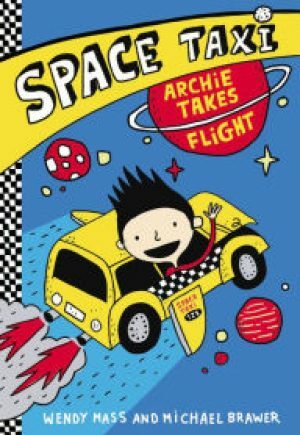 Archie even gets to help his dad navigate around planets, through wormholes, and get them safely home again. 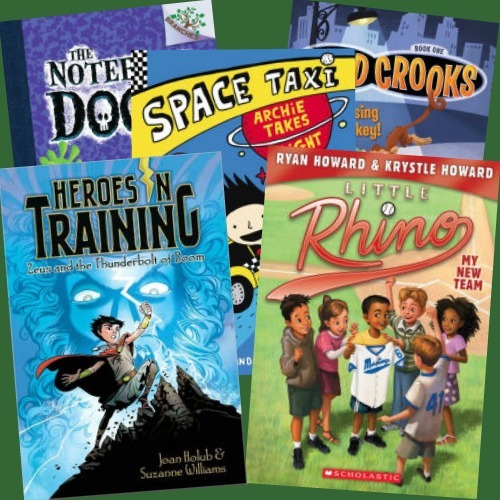 This is a very creative start to a new chapter book series filled with humor, adventure and strange characters, sure to delight early chapter book readers. 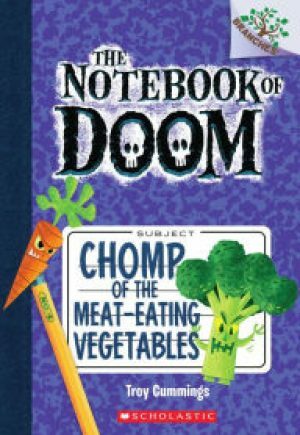 Complete with some science facts explained at the end of the book. Ten-year-old Zeus knows very little about his parents, and he has never been far from the cave where he grew up. Every year he gets hit by lightning, and survives it. Every time it happens he hears a voice saying "You are the one." When Zeus is kidnapped by giants, he pulls a lightning bolt from a stone to defend himself, and his true powers begin to reveal themselves. 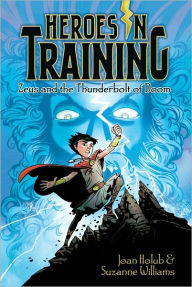 He goes on a quest to free the other Olympians from Cronus, and finds that they are also kids. A fun, action-filled retelling of a story from Greek mythology, and the beginning of a great series about the Greek heroes. Every day after he finishes his homework, Little Rhino (a nickname for Ryan) hurries outside to practice catching and hitting with his grandpa. Playing baseball with Grandpa James is Rhino's favorite thing in the whole world. 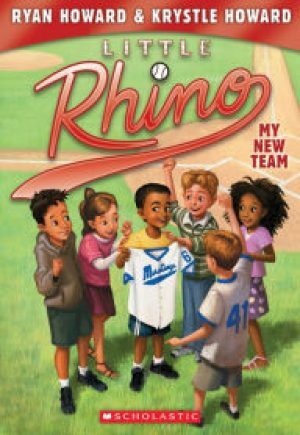 One day Rhino learns that Grandpa has signed him up for a real baseball league, and Rhino feels like his dreams are coming true. Then he finds out that the class bully is on his team. Rhino, being the smart and thoughtful boy that he is, makes some big decisions about how to respond to the mean boy. At the same time he is learning to be part of a team, and how to be a good friend. 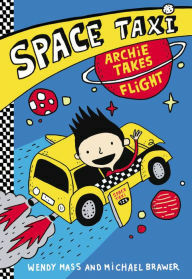 This first book of a new series is getting rave reviews from young readers, parents and teachers. The author, Ryan Howard, is the first baseman for the Philadelphia Phillies, and he writes the series with his wife, Krystle. 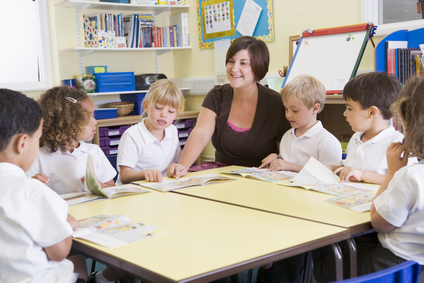 the stories are loosely based on his childhood. 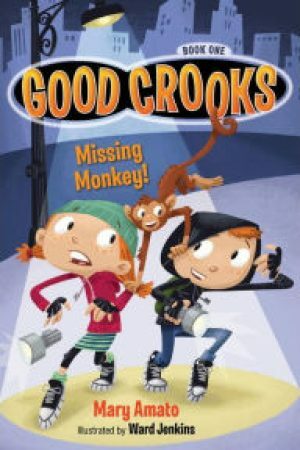 Twins Jillian and Billy are good kids, but their parents are career crooks. When their parents kidnap a monkey from the zoo to help them pick pockets, the twins execute a daring rescue and return the monkey to his home at the zoo using disguises, clever inventions, and quick thinking. 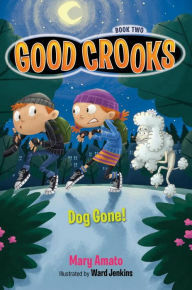 A funny, silly first book of a popular new series about a pair of good-hearted kids who happen to have crooked parents. 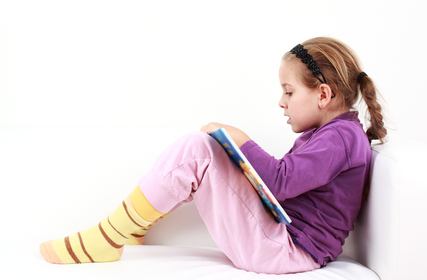 Early chapter book readers will be drawn to the characters and their outlandish misadventures. Other books in the series are titled Dog Gone! and Sniff a Skunk! Billy and Jillian Crook have to do their good deeds in secret, because their parents want them to follow in their criminal footsteps. In Dog Gone! the twins raise money to help the local dog shelter. At the same time, their parents are plotting to steal the famous white poodle, Smoochie Poochie, to hold it for ransom. Unbeknownst to their parents, Billy and Jillian use their skills and wits to return the stolen poodle. Alexander has defeated monsters before, in other books in this series, he has faced balloon monsters, shadow monsters, and fish monsters! 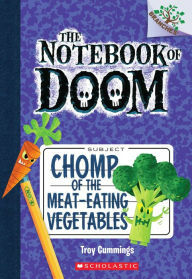 In Chomp of the Meat-Eating Vegetables, Alexander finds the monsters have come to his school. Big vegetable monsters take over the cafeteria and serve only desserts, while his friend, Rip, goes missing! Alexander and Nikki, the other member of the Super Secret Monster Patrol, go monster hunting armed with a carrot peeler and a potato masher. Aimed at newly independent readers, this series features high interest content, fast-paced plots and lots of hilarious illustrations.